Outfielder Aaron Cunningham, a South Kitsap grad, was one of 35 unsigned players on the Padres’ 40-man roster who was offered a contract on Monday. Cunningham hit .178 with three home runs and nine RBI in 90 at bats a year ago. The 25-year-old outfielder hit .329 with nine homers and 63 RBI over 384 plate appearances for Tucson in the Pacific Coast League. Cunningham has spent parts of four seasons in the majors, with Oakland in 2008 and ’09, and with San Diego in 2010 and ’11. His career numbers: .231 with six home runs and 44 RBI in 355 at bats. Here’s one columnist who thinks now that Marvin Williams is healthy, he’s in for a bounce-back season. Bryan Burke is the latest Kitsap Pumas player to land a contract with a higher-level club. Burke, who was named finals MVP last summer when Kitsap won the Premier Development League champions, has signed a contract with the Los Angeles Blues of the United Soccer Leagues First Division. He’s the second former Kitsap player to land with the team. Leon Abravanel, who played for the Pumas in 2009, is on the Blues’ roster. So far three players off Kitsap’s national championship team have secured spots on higher-level clubs. In addition to Burke, goalkeeper Bryan Meredith was signed by the Seattle Sounders and defender Daniel Scott was signed by FC Tampa Bay of the North American Soccer League. 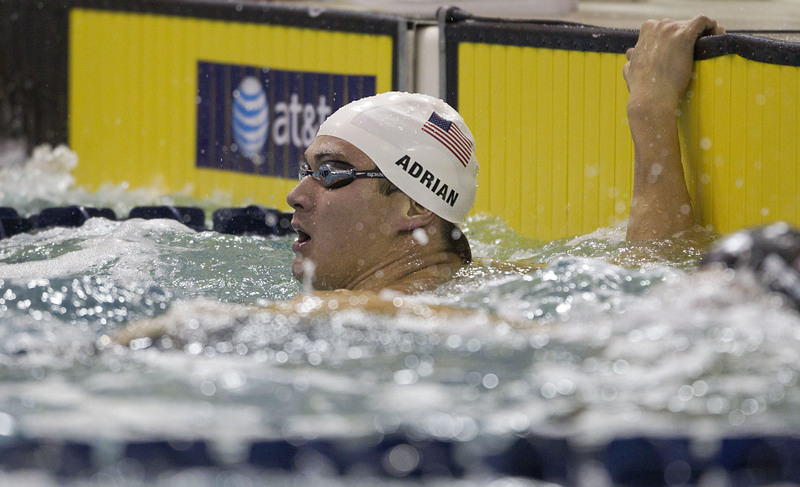 Bremerton’s Nathan Adrian had the fastest time in the 50-meter freestyle Thursday morning at the winter nationals in Atlanta. Adrian touched the wall in 22.21 seconds. Australia’s Roland Schoeman was second in 22.29 and Josh Schneide was third in 22.63. Other finalists include Matt Grevers, Fred Bousquet of France and Garrett Weber-Gale. The finals are at 3 p.m.